All the information and photographs on this page, unless stated otherwise, has been provided by Lerida Arnold, to whom many thanks. The 1861 census for Ashburton shows John M Baker, a 26 year old blacksmith, living with his wife Elizabeth and son Joseph F. in East Street. John had been born in Ashburton. 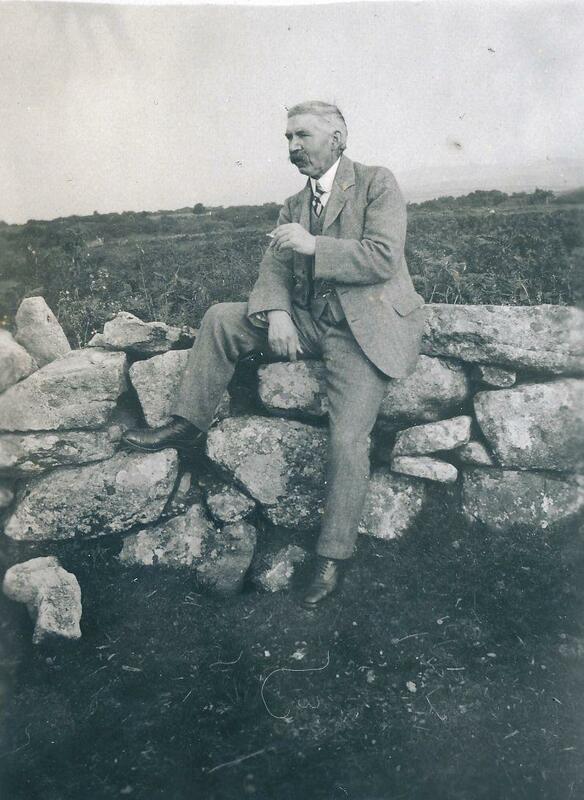 Joseph Fitze Baker's birth had been registered in the March quarter of 1859 in the Newton Abbot district, and the census also shows him as being born in Ashburton. Thirty years later, in the 1891 census, Joseph is married to Mary A. (née Daw - sometimes Dawe) and living in West Street. He is a commercial clerk. 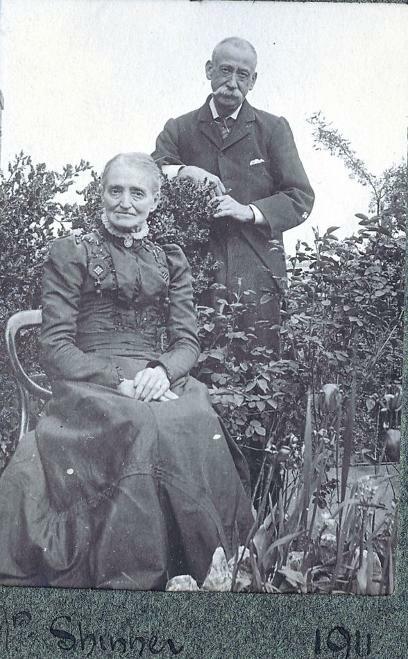 They were newly weds, having married in the March quarter of 1891. A son was born in December 1891, but he died soon after birth. 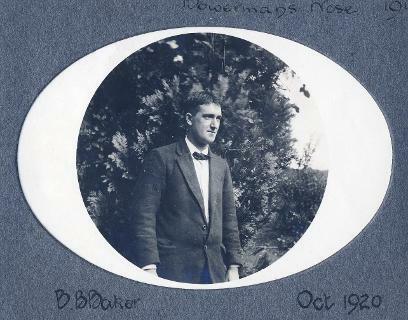 Their son Brian Bernard Baker was born in 1894. In 1861 at the time of the census 5 month old Mary A Daw is with her parents Henry J. Daw and Mary A. 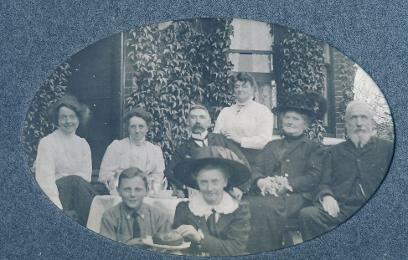 The family, living in West Street, have three sons and three further daughters, one of whom is 17 year old Elizabeth. According to family tradition Elizabeth used to climb out of the window to go to dances when she was young. 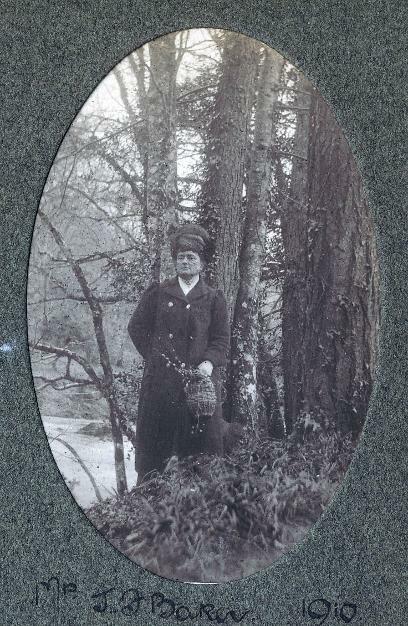 She married Edward Shinner in the Totnes registration district in 1867, and the couple became confectioners in Brixham. 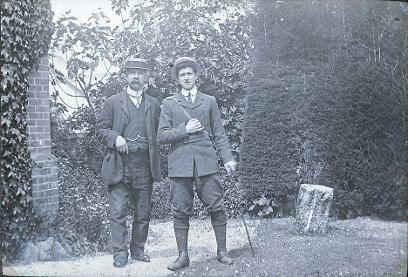 The picture above shows the couple in 1911. Another sister, Sarah M Daw, probably married Samuel Richard Oliver in 1875. 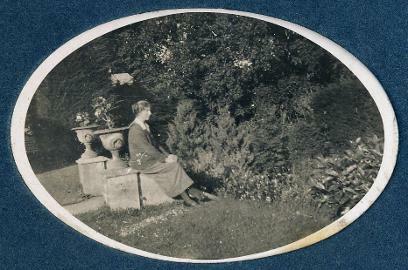 Above: Florence Oliver, Annie's niece. In the same year Ellen, the third sister, married Adrian Hays. The 1911 census shows Joseph Fitze Baker, his wife Mary Ann and son Brian Bernard living at Hillcrest. Joseph is a woollen manager (?) of serges and blankets, and Brian is an apprentice in the same trade. Above: Joseph Fitze Baker and his son Brian Bernard Baker. Brian attended a Dame School (see More Ashburton schools) before moving up to the Grammar School and then going on to Taunton School. He then went to Leeds University. 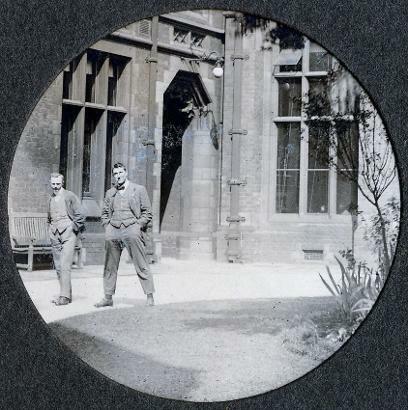 Below: Joseph at Leeds University where he studied textile manufacture. 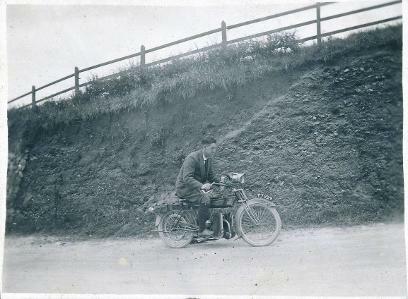 A motorbike of Brian's, possibly even the one below, brought him in conflict with the law in 1919 when he was summonsed for allowing the cut-out on his motorcycle to be open, resulting in loud explosive noises. In his defence he said that he did not know that he was breaking any regulations, and had to keep the cut-out open to prevent the engine overheating. He was fined 4s costs. 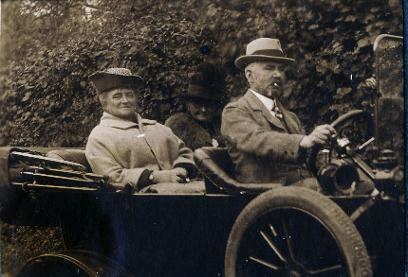 Above: B B Baker on a motorbike, and with a car. 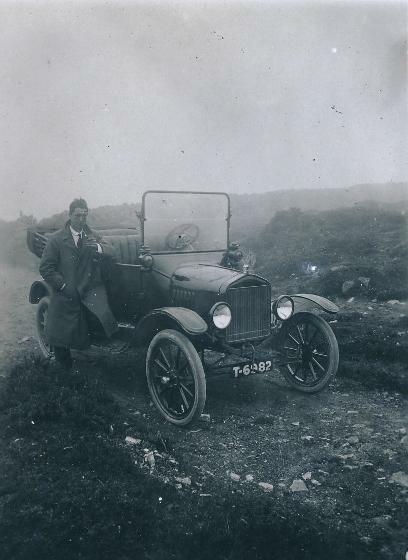 Below: Brian Bernard Baker in 1920. 1925 Joseph Fitze Baker, of Hillcrest, died on February 26th. He was 66. 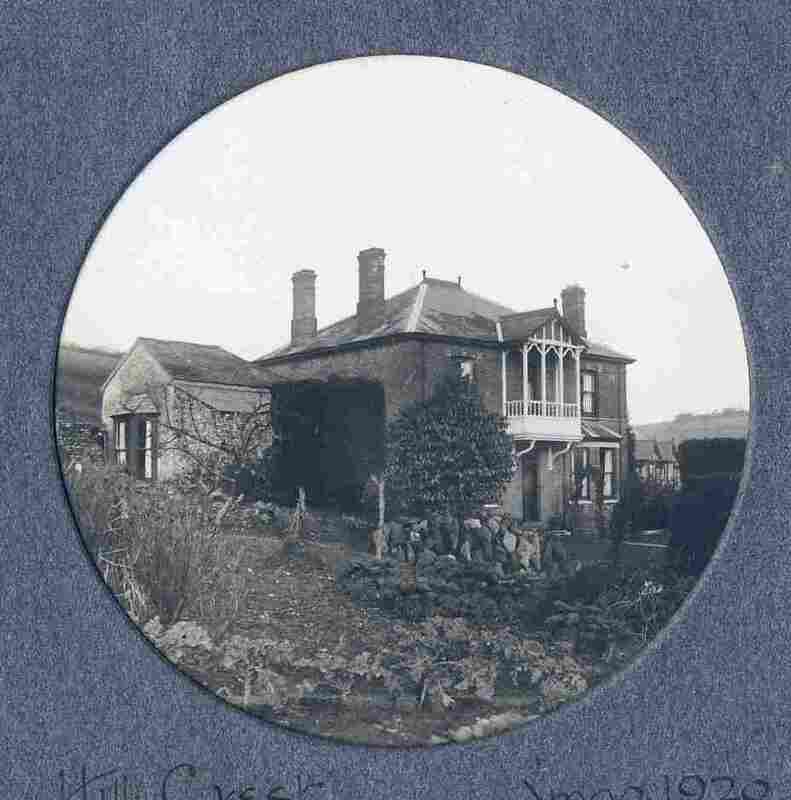 Hillcrest was put up for auction in 1946. Described as being in excellent condition, the property consisted of two reception rooms, a kitchen and scullery, 5 bedrooms and a bathroom. As well as a summerhouse, terraced gardens and a large fruit and vegetable area, the property also had an annexe used as a billiard room.